So things have been moved out of my office/sewing room and we're ready to start painting. 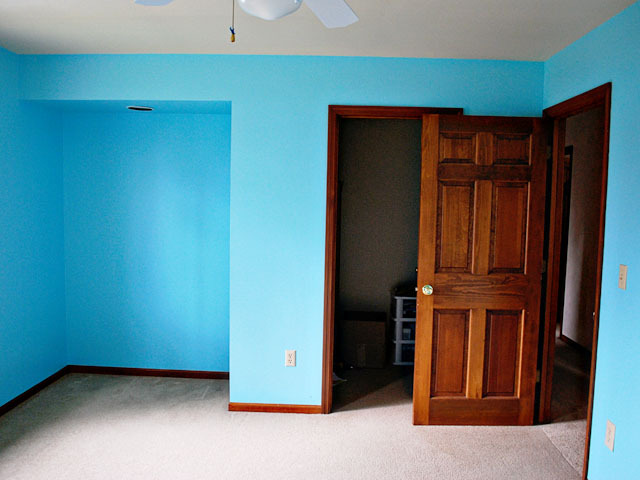 I cannot wait to say goodbye to the blue walls. I like aqua as much as the next person, but I don't like being surrounded by it on all four sides! You can bet we'll be saying goodbye to the fan and the creme colored ceiling as well! Even though this was one of the first rooms that I unpacked after we moved in, I never really felt like I could fully move in, hang stuff on the walls, etc. since I knew we'd be painting at some point soon. I hate the feeling of living temporarily in a space, and especially in this room I believe it may be part of my problem of feeling uninspired lately. Walking into the blue every morning just made me cringe a little. So we're saying goodbye to the blue this weekend, and welcoming in a lovely shade of gray! Hopefully it will get me one step closer to my inspiration for this room! SO excited for you...who ever thought that much aqua was acceptable, (especially with the natural woodwork! ), needs some design intervention! 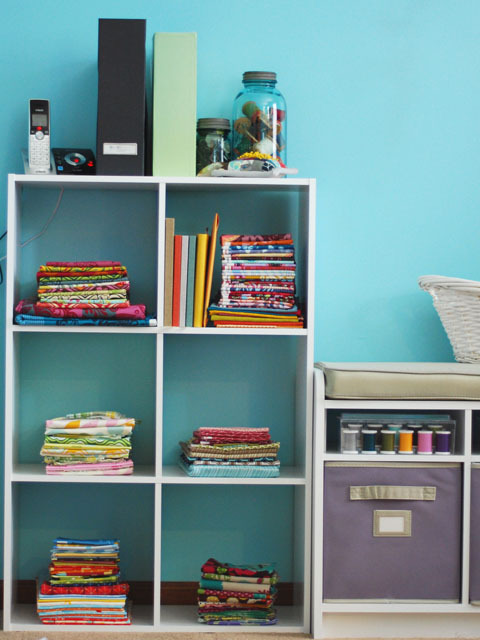 It's a great sized room - and you can do so much with hanging stuff on the walls - how exciting for you! Can't wait to see it. I'm looking forward to seeing what you replace the ceiling fan with! 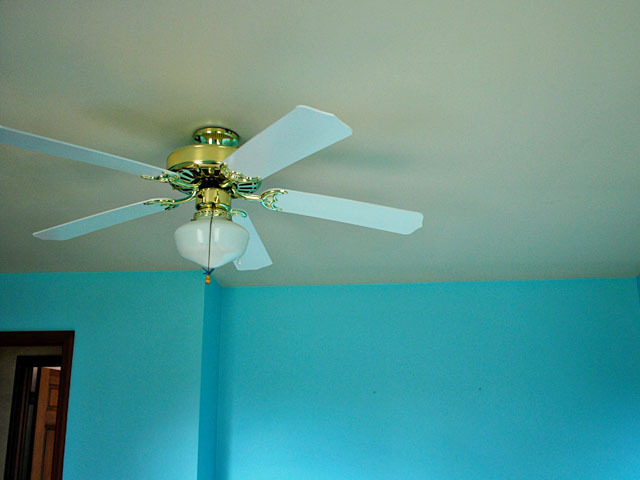 I have an ugly, outdated ceiling fan in my great room - and need a modern/chic alternative that will does the job! Yippee!!! 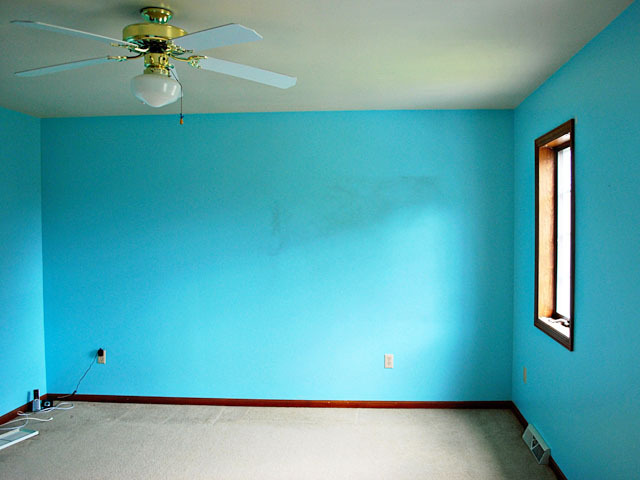 Another design project- can't wait to see what you do to the room :) That is a really bright aqua- I didn't realize how bright until you showed the photos of the room empty. 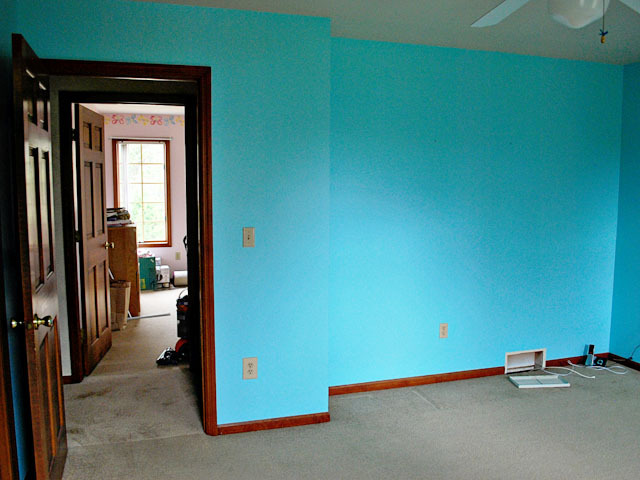 It looks so much more muted in the photos of your finished projects. Lol! If you check out my blog (scroll down a few posts) this is almost the exact color that we painted our bedroom when we moved in! I wake up to it every morning and I totally LOVE it for our bedroom! But I understand moving into a house with color choices that are not your own. 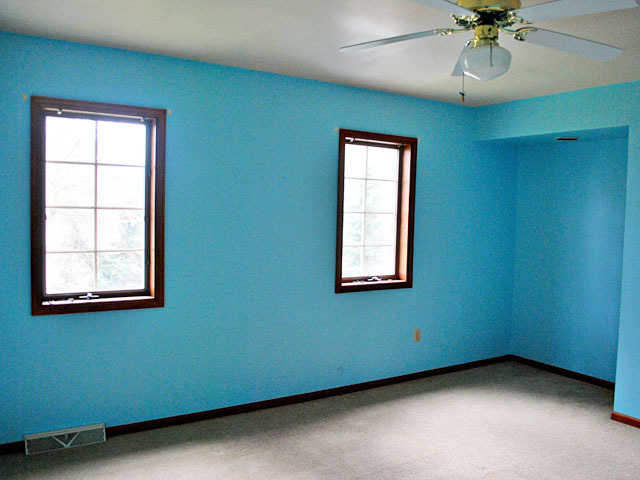 That same blue master bedroom I was just talking about? It used to be HOT PINK. Oh my word. I'm sure gray will suit your tastes MUCH better. Blessings! I totally agree about not hanging things on the wall when you know something is temporary. It just keeps you from really feeling comfortable!